Bon Appétit Presents Feast Portland announces the return of the “Feast Fab Collab” series for the third year, teaming up several of the festival’s top participating artisans and chefs and retail partner New Seasons Market to create limited edition, one-of-a-kind Feast Portland-inspired items. These collaboration items will be available for sale exclusively at New Seasons Market locations in Oregon and SW Washington, hitting shelves throughout the summer leading up to Feast Portland 2018, September 13-16. Feast Portland 2018 Feast Fab Collab participants include: New Seasons Market, 10 Barrel Brewing Co., Olympia Provisions, Ruby Jewel, Oregon Fruit Products, Bob’s Red Mill, Chef Maya Lovelace of Yonder (Portland, OR), Chef and Salumist Elias Cairo of Olympia Provisions (Portland, OR), Chef Joshua McFadden of Ava Gene’s (Portland, OR) and Chef Abe Conlon of Fat Rice (Chicago, IL). This is the most thirst-quenching beer you could ever hope for. 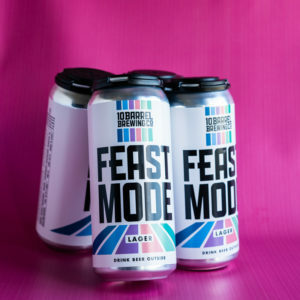 Feast Mode is a premium lager featuring pilsner malt, flaked rice and a subtle hopping for an ultra light and refreshing beer. Perfect for pounding on the porch or while grubbin’ out with friends. Maya’s Southern Strawberry Ice Cream Sandwich: Featuring cornmeal from Bob’s Red Mill and strawberries from Oregon Fruit Products, these chewy cornmeal cookie, and strawberry buttermilk ice cream sandwich represents the best of the Appalachian pantry - the preserved corn that serves as the backbone of every meal, the buttermilk giving richness and tang, and strawberry jam pulling us right back into the warm and sunny days of late spring. Grandma Mae’s Sweet Molasses Ice Cream Sandwich: These ice cream sandwiches are inspired by the molasses and apple butter sandwich cookies found in Chef Maya’s grandma's secret cookie stash – the cookies were soft and chewy, and her apple butter seeped into them to create a surprisingly luxurious texture and a combination of farmhouse flavors she only ever tasted in her Grandmother’s home. 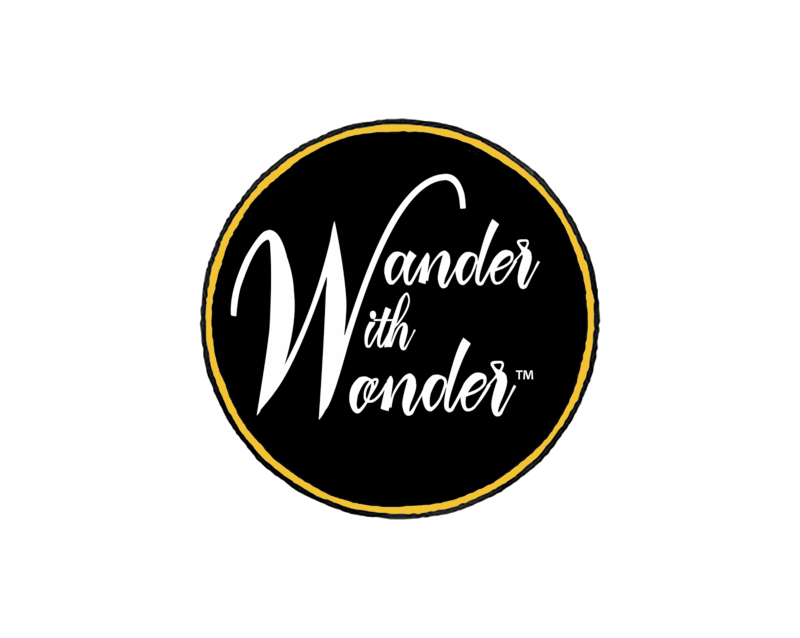 Ava Gene’s Owner-Chef Joshua McFadden was motivated by his love of Roman-inspired food when creating this specialty Italian sausage stuffed with kale and provolone cheese, poached to perfection. Grill and pair with fresh pasta, olive oil and some garden cherry tomatoes to elevate your pasta game. 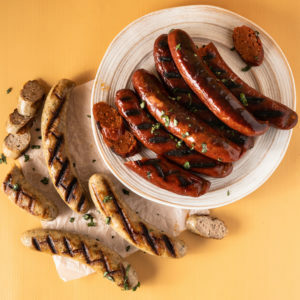 Chef Abe Conlon of Chicago’s Fat Rice collaborated on this Goan-style pork sausage heavily spiced with turmeric, garlic, chilies, cinnamon and other spices, then smoked. Try this sausage in a new twist on paella, served with fresh shrimp and mussels. A portion of gross sales from all Feast Fab Collab products will be donated to Feast Portland’s 2018 charitable partners, Partners for a Hunger-Free Oregon and Urban Gleaners. Since 2012, Feast has raised more than $372,000 to help end hunger in Oregon and is proud to continue supporting this important cause through its charitable partners. 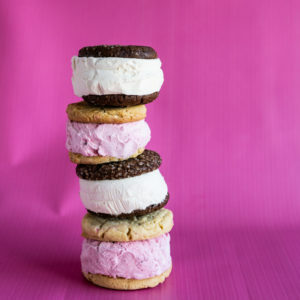 Select Feast Fab Collab items will also be featured at Feast Portland’s main daytime events Friday and Saturday Grand Tasting Presented By New Seasons Market. Tickets are available at FeastPortland.com. More information and updates about the Feast Fab Collab items can be found at https://www.feastportland.com/about-feast/feast-fab-collab/ and by following #FeastFabCollab on Instagram.